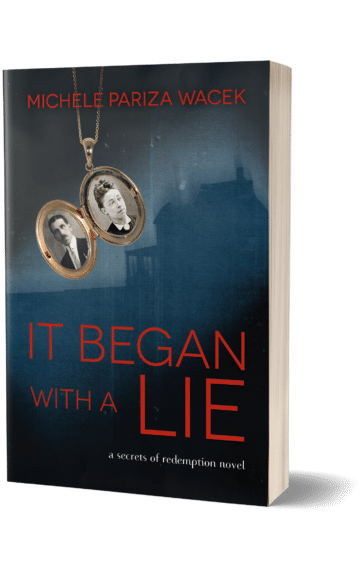 Years and years ago, the idea behind “It Began With a Lie” flickered into life. The premise of a book, returning to a childhood home that may also be haunted, ended up, well, haunting me for decades. 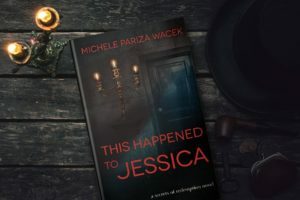 I shared the story around how I finally got myself to sit down and write “It Began With a Lie” here, but what I didn’t share was how that ended up being the seed for Jessica. You see, when I started fleshing out the story, I realized there was more to Becca’s story than what I originally thought. Jessica was there, too. And her story also needed to be told. So, I went to work. And for a few months, what happened to Jessica was intertwined with Becca’s return to Redemption story. I had so many threads I couldn’t keep track of them. The more I wrote, the longer and more complicated the book seemed to become. I started to despair I would ever finish it. Until the day I woke up and realized I was going about this all wrong. This wasn’t a single book. It was a series. More than that, Jessica deserved her own book. So, I went through the slow (painful) process of untying the two story lines and putting them into two books. I also realized there was more to Becca’s story (but more on that with the third, and maybe fourth! book). Once I saw this was a series, I was able to relax because I now felt like I had the space to fully tell everyone’s stories. Not just Becca’s, but also Daniel’s, Mia’s Daphne’s, Chrissy’s. It’s best if you read the books in order, so if you haven’t read “It Began With a Lie” start with that one. And, once you’re ready for Jessica, check it out here.